Annotation schema presumes a prior linguistic analysis and studies. To be consistent and systematic, annotations are shallower/less interesting. Corpus Annotation is the need when no choice. allows to test linguistic hypotheses empirically. provides a pool for diffirent machine learning tasks (segmentation, categorization, relation discovery). Both corpus linguistics and other experimental linguistics study language system not directly but by observation of epiphenomena - output on the large scale, or either the blood-flow requirements or some other psysiological feature associated with it. Distribution : toward Unified Empirical Linguistics , where evidence of all kinds - textual, psychological and neurological - is a matter of course used in concert to uncover the nature of language. In such context, corpus linguistics will reach its full potential as a methodology. 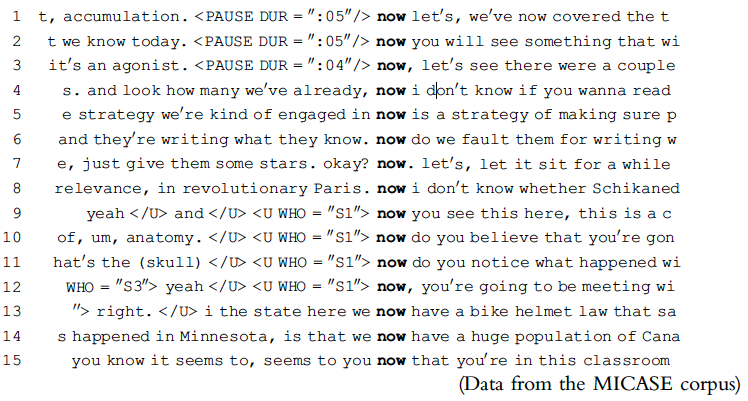 A corpus does not contain new information about language, but the software offers us a new perspective on the familiar. Two related processes: the production of frequency lists (either in rank order, sorted alphabetically, or according to keyness) and the generation of concordances (examples of particular items in context) -> Note Bene. : In order to compare frequency counts across corpora of different sizes, a process of normalisation is required. Now, what can concordance/frequency reveal the unknown? Only 4 lines (lines 5, 13–15) is now clause-medial, and acting as a temporal adverb ; with remaining clause-initial and has discourse-level functions, signalling a change of focus or topic !!! Patterns: A pattern is essentially repetition. 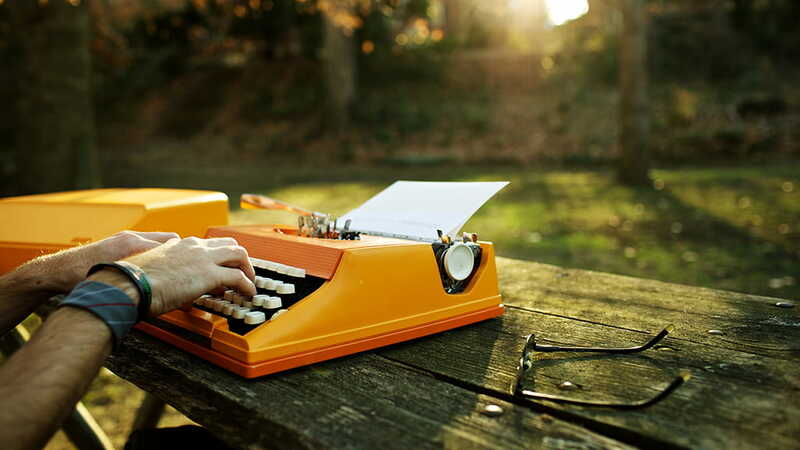 In language, pattern is observed when words, sounds, rhythms or structures are repeated. The identification of pattern in a corpus implies a connection between theory, method and technique. If we search for the followed by experience we find that one set of words occurring frequently between those two refers to groups of people: American, black, human, undergraduate, customer and British. Replacing the by a or an gives very different results: the word preceding experience usually expresses an affective response to the experience: great, new, wonderful, bad, traumatic and pleasant. In short, there is a repeated phrase the black experience, but there is also a more frequently repeated pattern: the + group of people + experience !! Why are patterns difficult to spot? repetition in naturally occurring conversation is transient, fleeting; it may have no perceptible effect, or its effects may not be ascribed to the repetition itself. patterning involves the repetition of ‘things’, but those ‘things’ may be of many different kinds. Patterns can also be interpreted as a co-occurrence of a language form and a particular context. Semantic prosody (a.k.a. discourse prosody) may be understood as a concept related to that of connotation in more traditional approaches to semantics. So for instance, the lemma 'happen' occurs more frequently than would be expected by chance alone with subjects that can be evaluated as negative. One long-standing problem with the notion of semantic prosody is discriminating it from the phenomenon of semantic preference. Stubbs (2001: 65–6) defines semantic preference as 'the relation, not between individual words, but between a lemma or word-form and a set of semantically related words' and notes that there is a fuzzy boundary between the two concepts. Textual annotation: GATE , GLOZZ, etc. 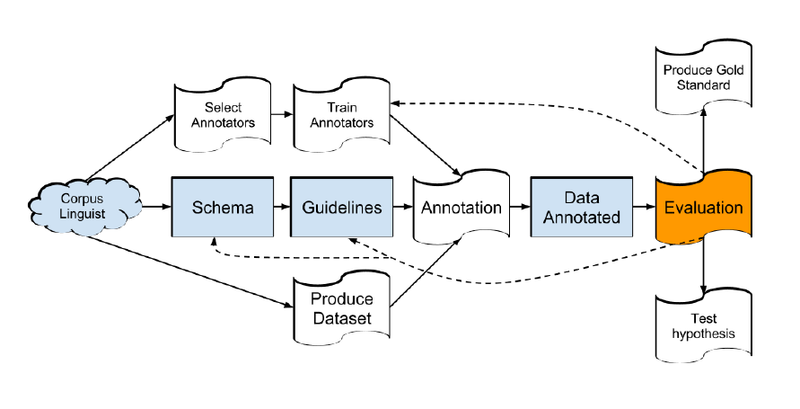 Annotation Schema: explicit characterization of the units/categories/...that will need to be annotated, and markup language as well (e.g., XML). Instruction to ensure that annotators are doing the task correctly. More focussed / restricted than the schema.